With its stunning churches, cheap beer, and magical atmosphere, Prague, Czech Republic has quickly become a must see city for many European wanderers. In fact, Prague hit a record breaking number of 20 million tourists last year! 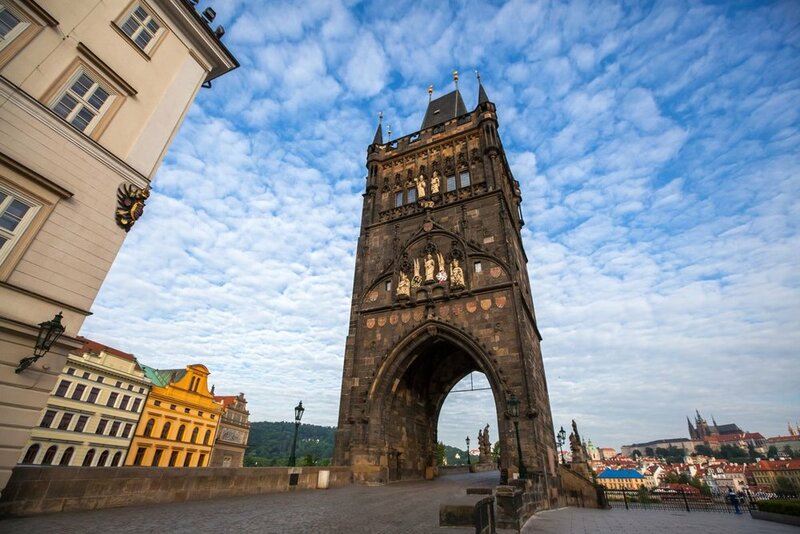 While Prague has many attractions that tourists are rushing to see, such as the newly reconstructed Astronomical Clock, Old Town Square, and the Charles Bridge, Prague also offers an abundance of hidden spots that are just as important for visitors to make time for. If you’re looking to get away from some of the overcrowded and heavily populated areas of Prague, escape to some of these unique destinations that the city has to offer! Tourists will go to the Prague Castle, while travellers will explore the many attractions that Vyšehrad has to offer. Located above the Vltava River and established during the 10th century; Vyšehrad offers stunning views of the city, park grounds with hidden architectural treasures including the Romanesque Rotunda of St. Martin, and one of the most significant cemeteries in Prague where over 600 famous people have been buried. 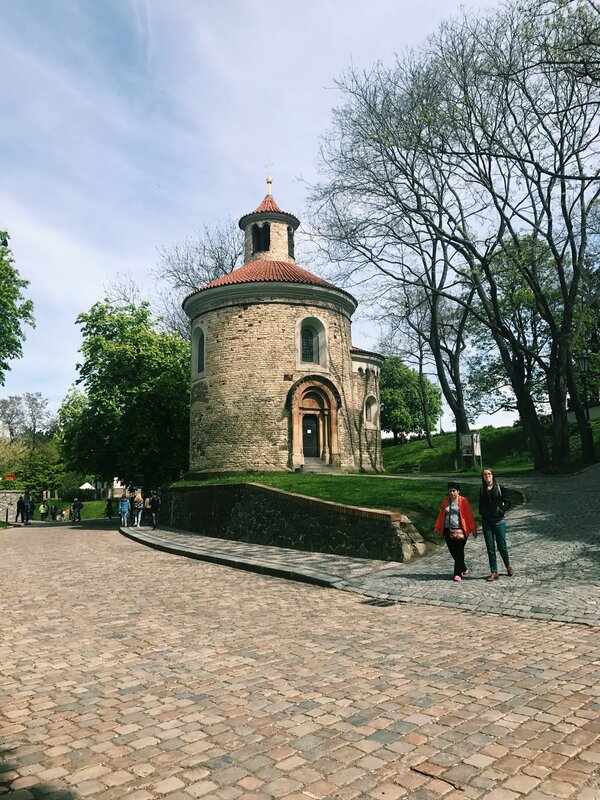 Filled with a rich history and beautiful views, Vyšehrad is a must see site off the beaten path. Are you using the Metro to travel around Prague? If so, take the A line to Malostranská and when exiting the metro turn right into the lovely Wallenstein Gardens. 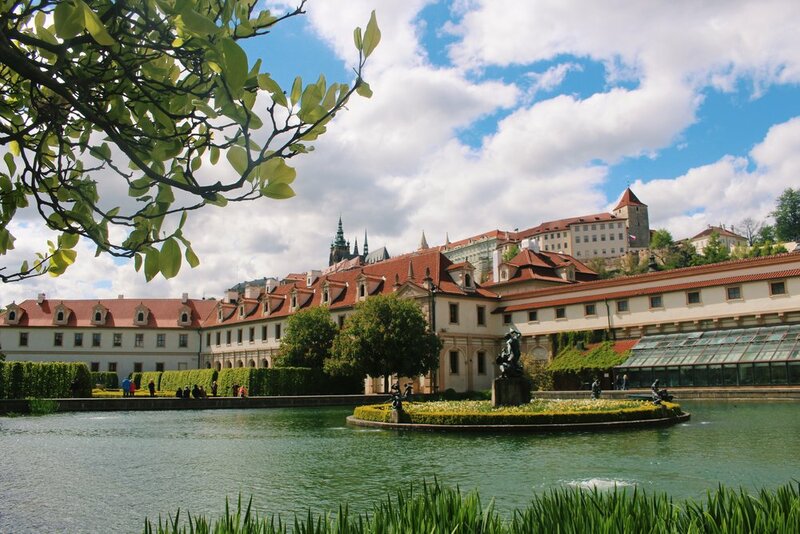 These Baroque style gardens were created along with the construction of the Wallenstein Palace in 1623. With views of the Prague Castle, benches of plenty and exquisite greenery, these gardens offer travellers a quiet and peaceful place to unwind. My personal favorite spot in all of Prague is Letná Park – or Letenské Sady in Czech. This major park is filled with grassy areas, beer gardens, and a colorful assortment of trees and bushes that line the walkways. Letná provides not only a pleasant place to sit and relax, but also unparalleled views of the city; especially from the Hanavský Pavilion where you can overlook the nine bridges that cross the Vltava River. Take advantage of Prague’s natural beauty and abundance of beer at this scenic spot. What looks like Prague’s version of the Eiffel Tower, is known as Petřín Hill. Located above the Vltava river between Malá Strana and Strahov lays one of the most extensive green areas in the city. Make sure to pay a visit to Petřín Observation Tower, a central point in the park, where you can climb the 299 steps to reach the top of the tower and gain a magnificent 360° view of Prague. 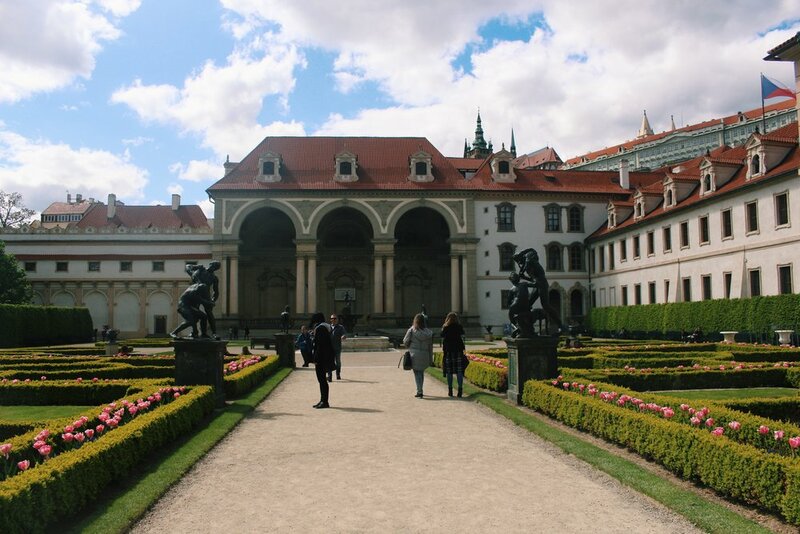 Prague has a myriad of gorgeous natural parks that could use some visitation! Riegrovy Sady is yet another spot off the beaten path to hang out, relax, and escape the bustling streets of Prague. 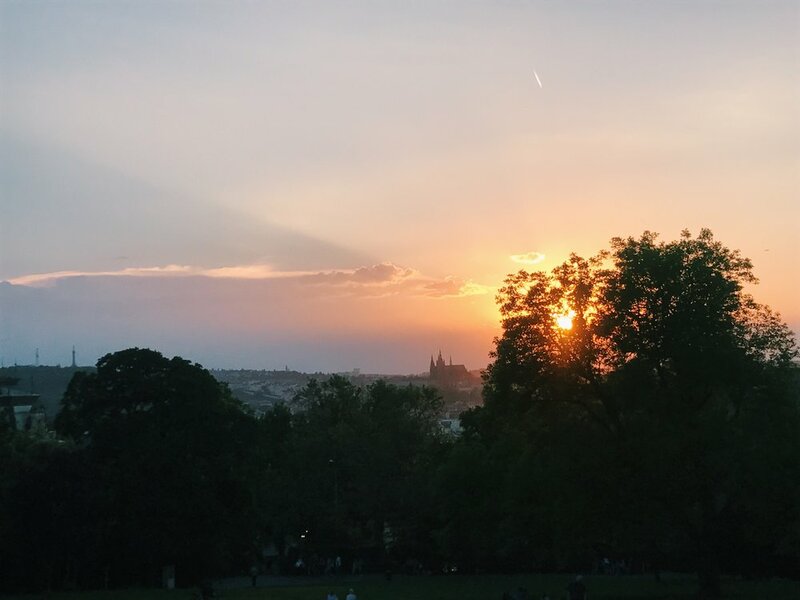 Take a stroll through the park, pet the many dogs that run around the area, grab a Pilsner at the outdoor beer garden, and watch a sunset all while enjoying a beautiful view of the Prague Castle. Whether you’re a tourist, a traveller or a local, The Charles Bridge is something everyone should experience while in Prague. Prague’s oldest bridge is built of sandstone blocks, surrounded at each end by fortified towers and decorated with thirty baroque statues of multiple saints. Seeing as this bridge is so well-known, it can become extremely overcrowded. Instead of being trapped in the crowd on the bridge, travellers can climb the 138 steps up to the top of the Old Town Bridge Tower for an unforgettable and uncrowded birds eye view. At the city center, Prague’s Old Town Square is a magical spot that most travelers intend to see. That being said, the square is filled with tourists at all times. Terasa U Prince’s rooftop bar and restaurant provides travellers a way to see this enchanting square from above, with minimal crowds. From the terrace, you will have a view of Old Town Square, The Astronomical Clock, Tyn Church, The Prague Castle and the Petrin Hill at your fingertips. Pro Tip: Make a Reservation first! Located in Nove Mesto, escape the crowds at this unique natural oasis in the city center. Furnished with a number of benches, lawn areas separated by hedges, and filled with several interesting sculptures, fountains, a gazebo and a playground; this garden is perfect for having a quick and quiet lunch, journaling your travels, or just sitting down to rest. Visit some of the most charming streets in Prague in the area known as Nový Svět. Located in Prague 1 just northwest of the Prague castle; Nový Svět offers a quaint, picturesque area with winding roads, small residential houses, and cute cafes. Nový Svět is a very local area, where you will certainly not have to worry about being bombarded by tourists.